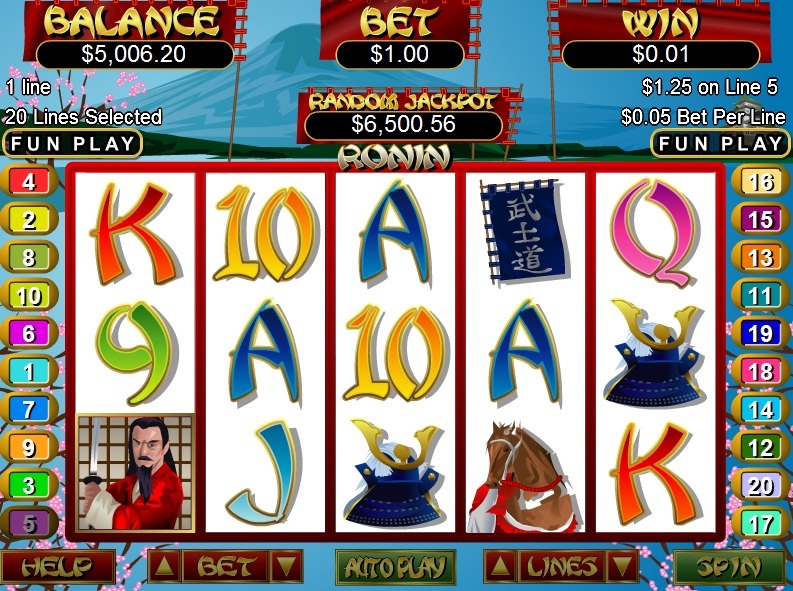 The Japanese-themed Ronin slot is part of the Real Series from RTG. 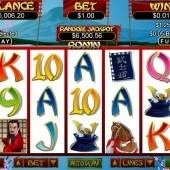 This 20 line video slot has three exciting bonus rounds, making it one of my favorite games from this slot developer. The good news from US players is that you can play Ronin slot, as well as other RTG slots, at a number of online casinos. There are up to 25 free spins on offer in one of Ronin three bonus rounds, which is triggered by seeing 2 or more Ronin scatter symbols on any reels and the Koku symbol on reel 3. This has a 3x multiplier, which can lead to some very nice wins. Other bonus rounds will give you extra respins and some extra wilds that can also be rewarding. If you like Ronin then you may enjoy RTG's Aztecs Treasure or Caesars Empire, which both have free spins bonuses in the bonus round. Be aware that both are quite addictive games, so make sure you keep an eye on your bankroll.